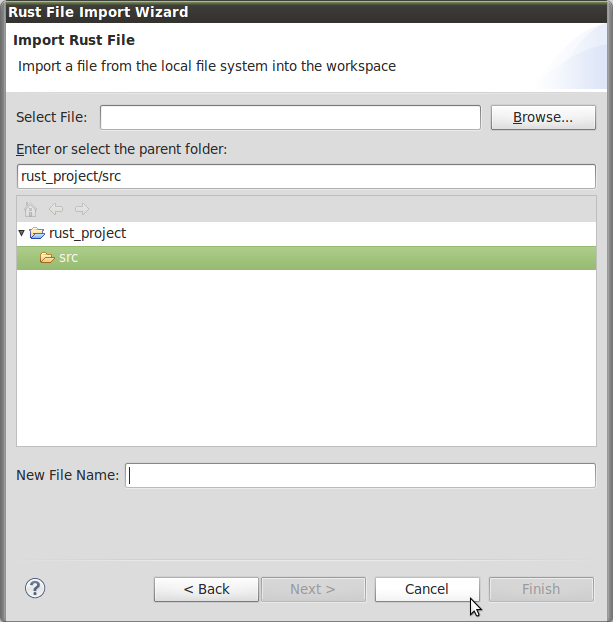 The import Rust file wizard will copy a file from your file system into your current workspace in Eclipse. So from the “File” menu chose Import. 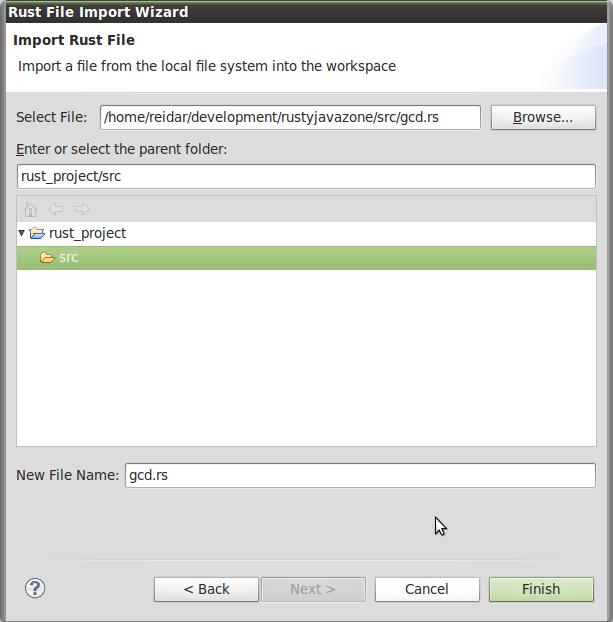 Then from the Import wizard you have the Rust category and in there you can chose Rust file. 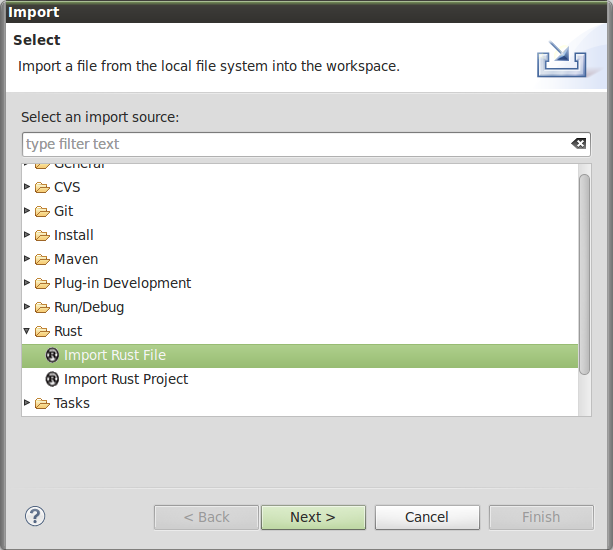 The Import Rust Project is not implemented as for now. Sorry. Then press the “next>” button and chose the “src” folder. 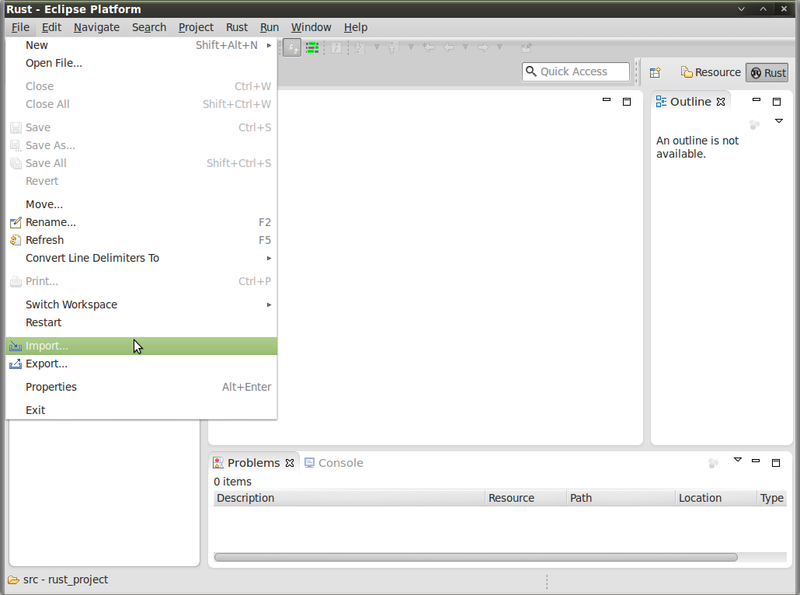 Then press the “browse” button or enter the path to your file. Then press the “Finish” button. 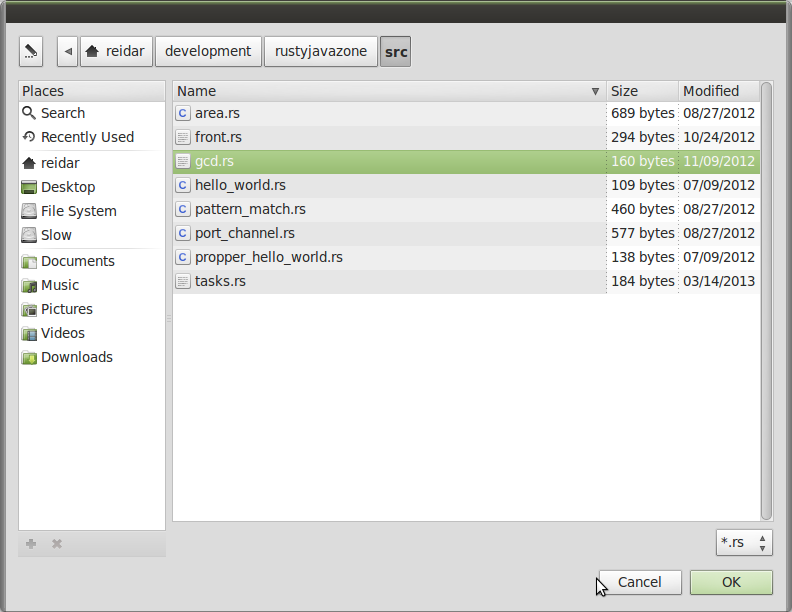 And viola, your Rust file is imported/copied into your workspace and project. So basically I thought this would be a cool thing to do in Scala, returning a tuple from the String split method. But it doesn’t, String split returns an array. So what can we do, so I was thinking “I can solve this with implicit conversion can’t I?”. Of course I can, so here is what I did. 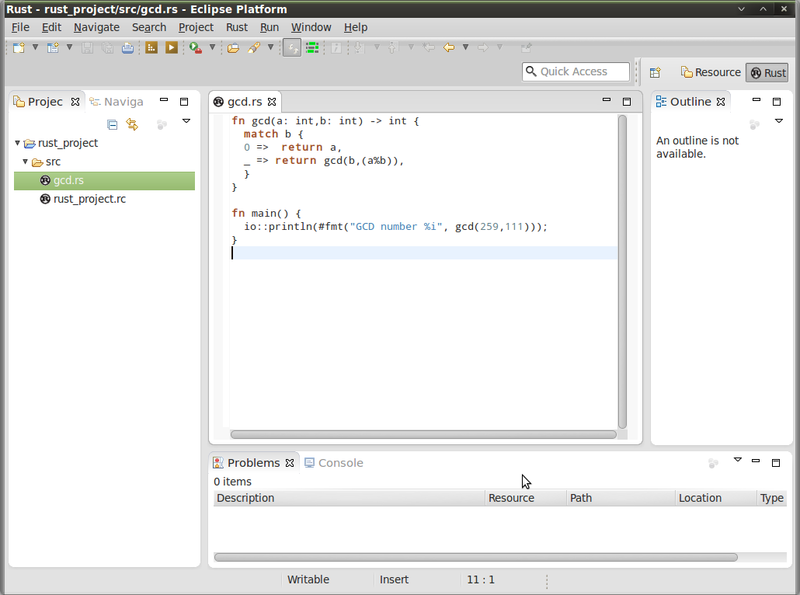 First I created a class with a function splitToTuple returning a tuple from the split. I wanted to split on io::println in Rust so that I could get content assist for the editor, if io:: is pressed I wanted the tuple to be returned as (“io”,””) to return all the functions in the io package. Then I needed an object to hold the implicit conversion. And viola, now I can get a tuple from Strings split method.